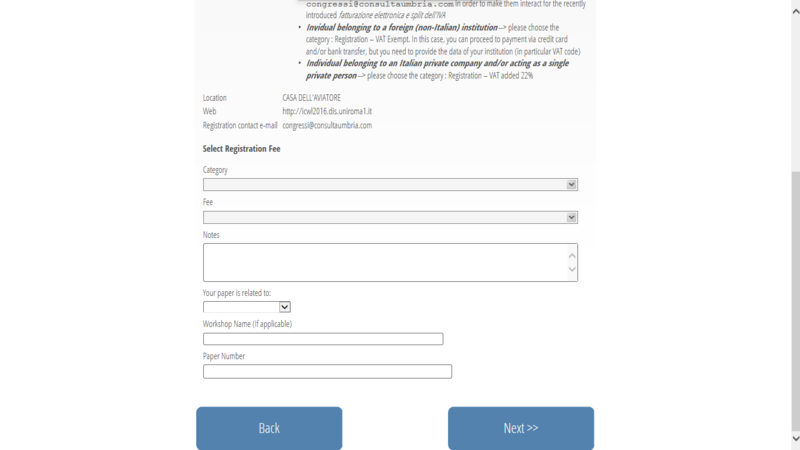 This guide provides a brief description of the registration process. Step 1. 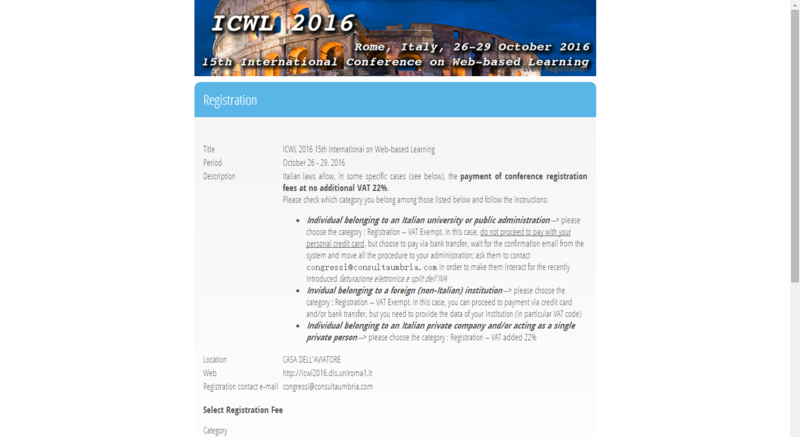 Visit the ICWL registration web page, or our local mirror page. 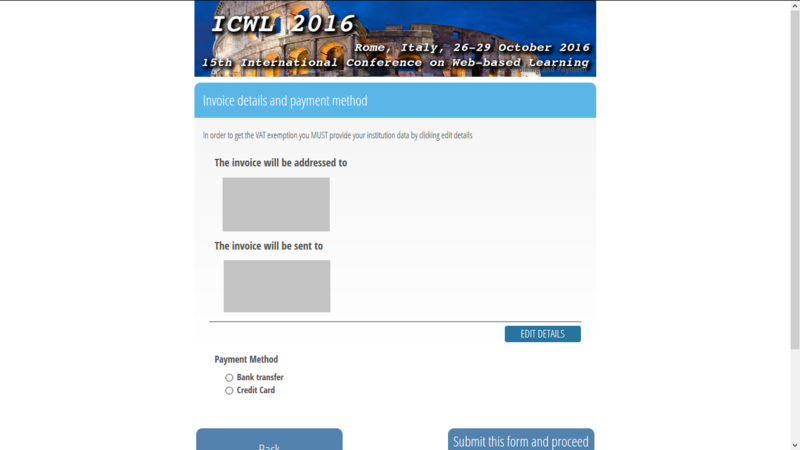 Read the instructions on the web page. Step 2. 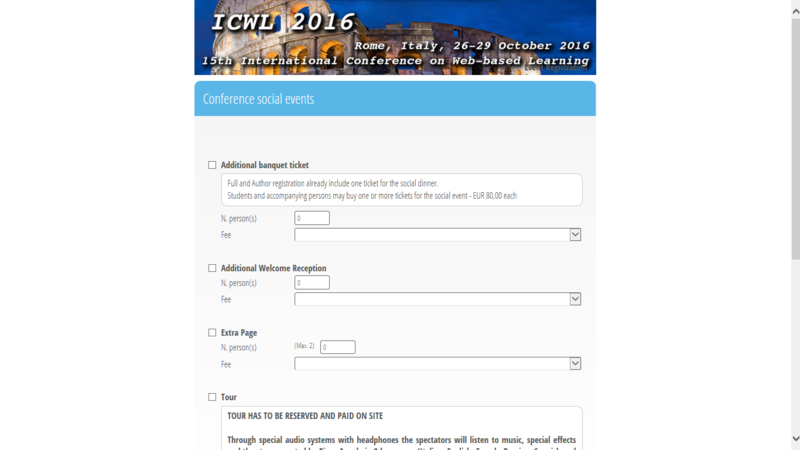 Follow the "<REGISTER NOW!>" link on the web page to the online registration system. 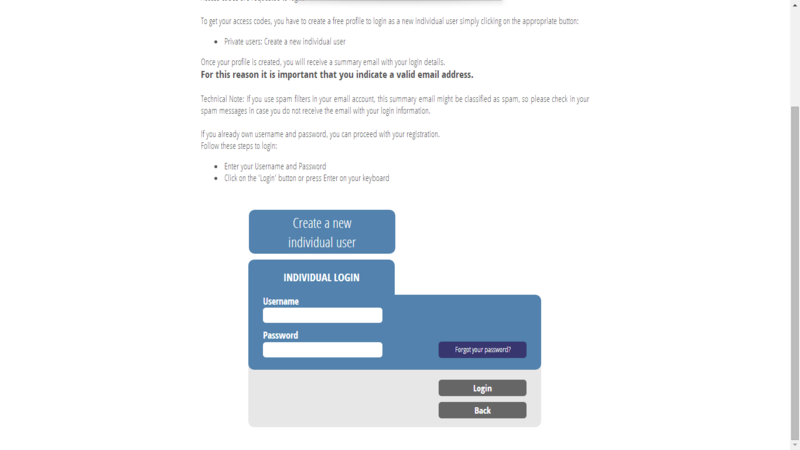 Click the "create a new individual user" button to initiate the registration process. Step 3. 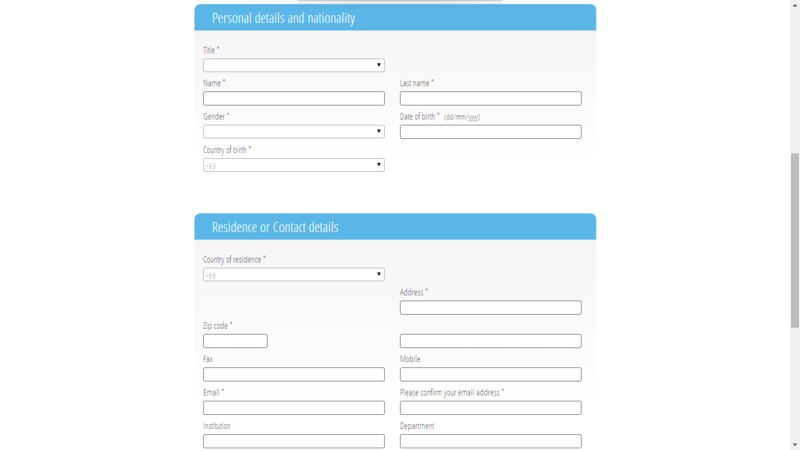 Fill in and submit the personal and contact information forms. Click the "Register" button to go to the next page. Step 4. Read the registration instructions carefully and choose an appropriate category and registration type. Then enter the information of your paper. Click the "Next" button to continue. Step 5. 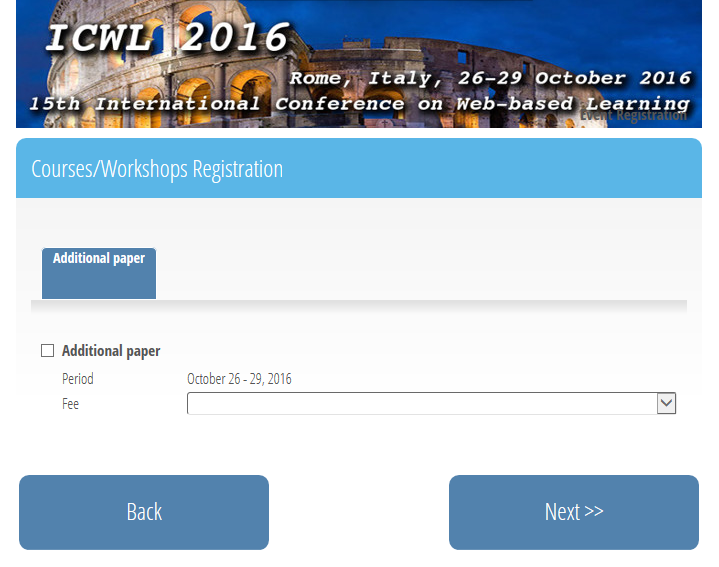 If you have more than one paper to be registered, check the "additional paper" box and select the appropriate type of registration fee. Step 6. Order additional banquet tickets, welcome reception tickets, extra pages, and the local tour in the social events form. Step 7. 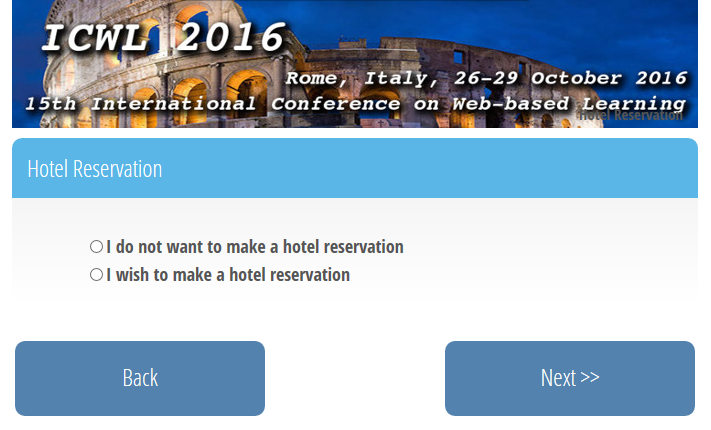 Choose whether you want to make a hotel reservation through the conference. Step 8. Review the registration summary and check if all the information is correct. Step 9. The invoice details will be shown. If you are in category 2, in order to get the VAT exemption, you MUST provide your institution data including VAT code by clicking the "edit details" button. The VAT code can be acquired from the finance office of your institution. Then choose to pay via credit card or bank transfer. If you choose bank transfer, an email will be sent to you with detailed bank account information. Step 10. A message will be displayed for the confirmation of your registration. 1. If you have two papers to be registered, the online registration system will not ask you for the information (e.g., paper ID) of your second paper. 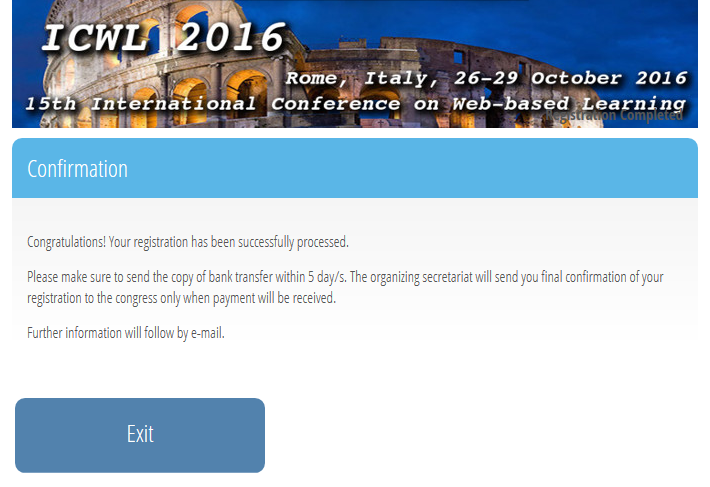 In this case, you will have to contact congressi@consultaumbria.com to submit the information. 2. 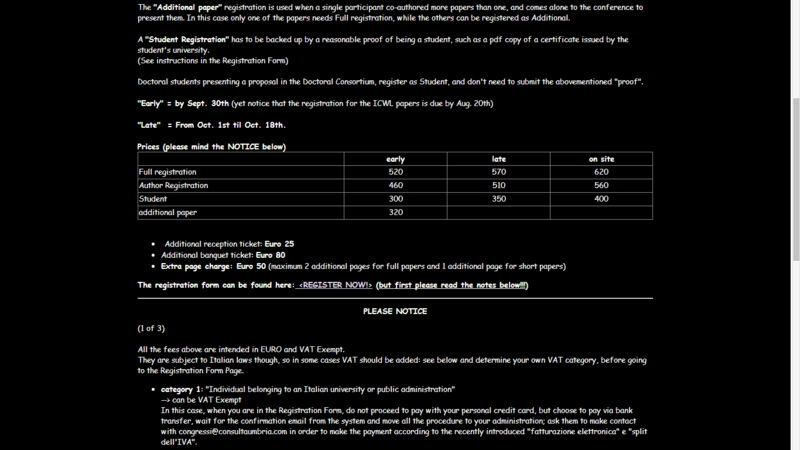 If you have more than two papers, only two of them can be registered through the online registration system. 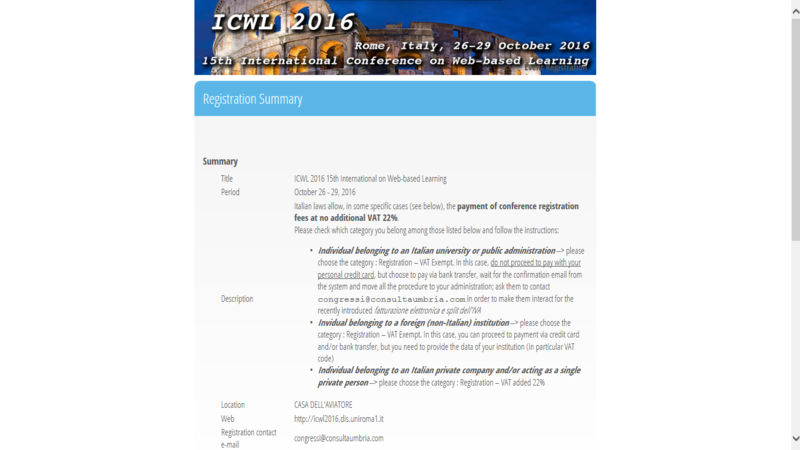 Please contact congressi@consultaumbria.com to register additional papers.